I don’t know how the girls on Pinterest do it, it’s mission impossible for me when I attempt to stick on false lashes. Girls who face the same struggle as me will know how hard it is to get the lash band as close to the roots of our own lashes as possible. After an hour, I find myself having to remove all of my eye makeup and restarting from step 1 because I got the lash glue all over my eyelid and screwed up. In the end, I always resort to my trusty old mascara to save my droopy, stubby lashes. If you have a love-hate relationship with stick-on false lashes as well, you’ll be glad to learn that they have made these annoying strips of lashes more user-friendly! Say hello to magnetic eyelashes! 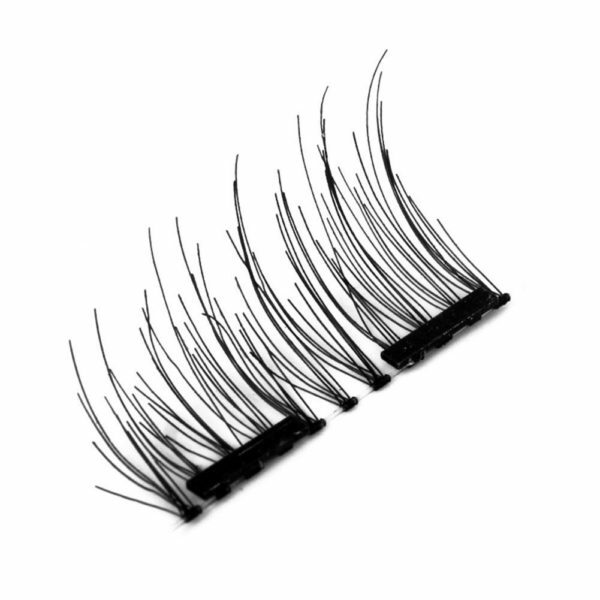 These are basically false lashes with an ultra-thin strip of magnet attached to the lash band. They are said to be reusable, convenient, easy to apply quickly as well as lightweight! 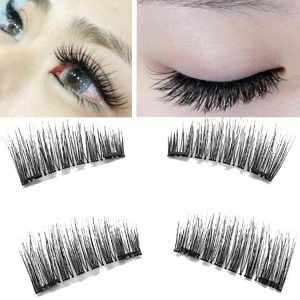 Also, if you are one with sensitive eyes that cannot tolerate the close proximity of eyelash glues, you’ll be in love with these magnetic eyelashes as no glue is involved in the application process! The application for these magnetic eyelashes are pretty fool-proof. For each eye, there are 2 strips of lashes. You’re required to place one strip above your lashes, and the other strip below your lashes. Think of it as a lashes sandwich, where your own lashes are sandwiched in between the magnetic lashes. A little practice is required before you get used to the application method. Thereafter, these magnetic lashes should not take more than a minute for you to apply! Removing the magnetic lashes are also a breeze. Gone were the days where you need to press an oily piece of cotton pad over your eyes to soak the glue off! All you need to do is to slide the magnetic strips apart, and voila! 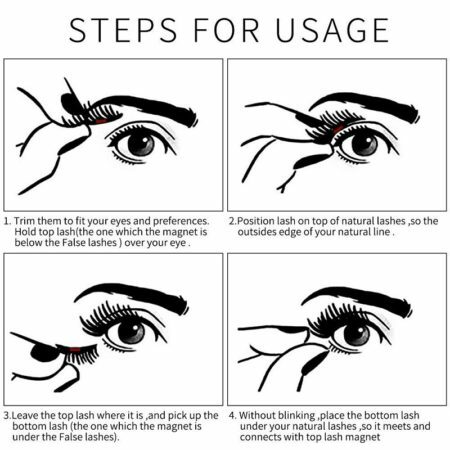 Before you rush off to order your first pair of magnetic eyelashes, there are a few things to take note! Magnetic lashes come in many designs and varieties, ranging from dramatic to natural looks, full lashes to accent lashes that cover only a portion of your eyes. There are also magnetic lashes which only have one magnetic strip in the middle of the lash band. These are the ones you may want to avoid as they do not really conform to the curvature of your eyes and may look oddly straight when seen close-up or at certain angles. Go for those with magnetic strips on both ends of each lash band, so that you can ensure the sides of the lashes are conformed to your eye shape! Also, it is important to check that magnetic lashes you purchase have a curved band so as to provide the best fit to your eyes! While magnetic eyelashes may cost a little more than the typical glue-on lashes, they can last infinitely if you take good care of them, and are a worthy investment if you’re a false lashes kind of girl! 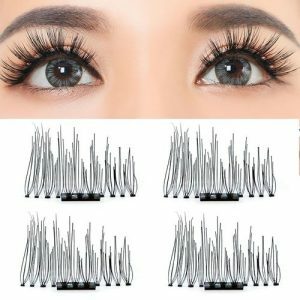 You can get magnetic eyelashes from Amazon or Ardell.